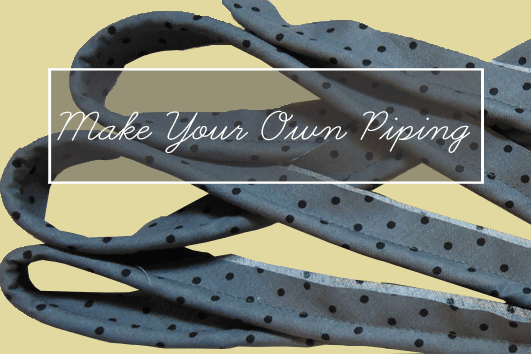 Besides being able to customize the size and color of my piping, I like to have the cording on hand because I frequently decide to add piping mid-project. This, folks, is one of my little secrets. 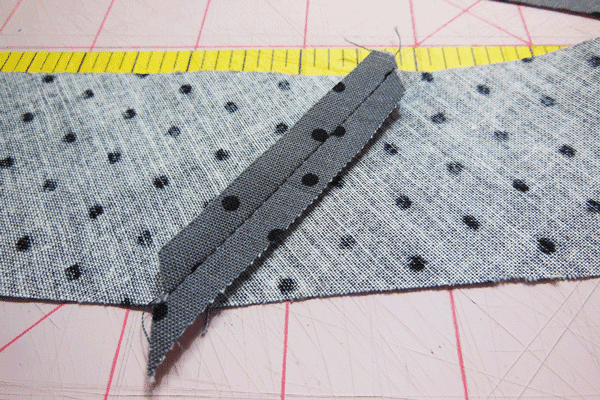 My favorite thing about sewing is figuring it out as I go along. Should I add pockets? A zipper? How about a contrast fabric? Having extra supplies on hand—and knowing how to use them—comes in handy when I'm feeling creative. 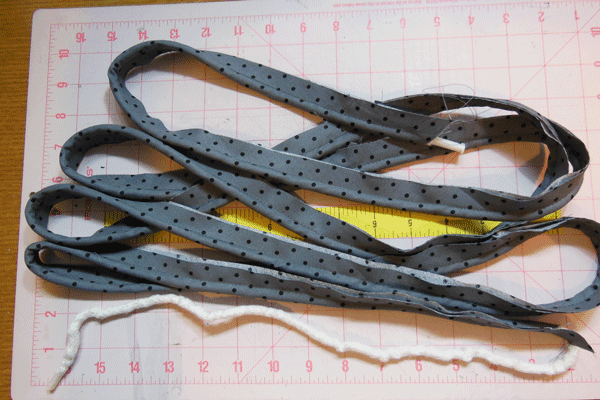 Start by making your own bias tape. 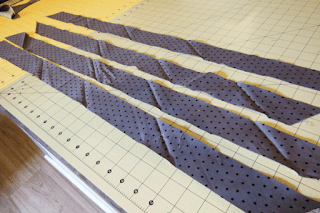 Cutting fabric on the bias means to cut it on the diagonal. 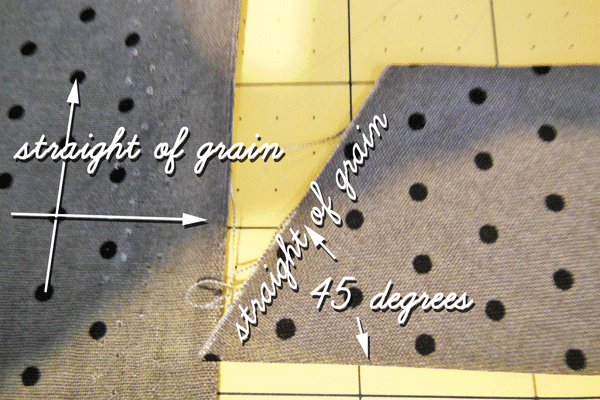 Best practice is to cut it 45° from the straight of grain. To decide the width of your strips, measure around the cording you will use with a tape measure and use that measurement plus two seam allowances. You will lose approximately two widths of your strip from the length at each join, so cut plenty of strips. To join the strips, place them right sides together and at right angles to each other. Sew on a line from one intersection point to the opposite intersection point. Make sure that that line has both ends on the same side! 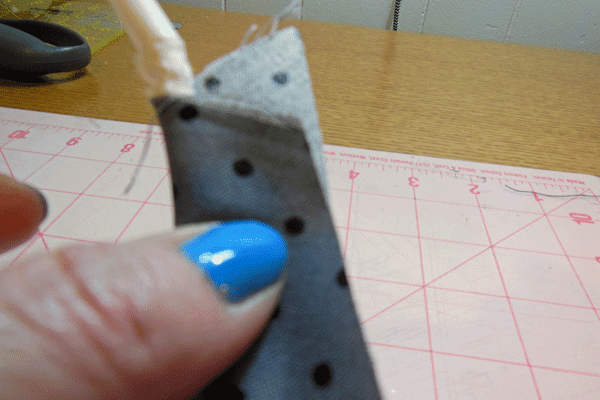 After sewing all the strips together, trim the seams to 1/4 inch and press the seams open. Fold your fabric wrong sides together and insert your cording so that it is firmly against the inside of the fold. 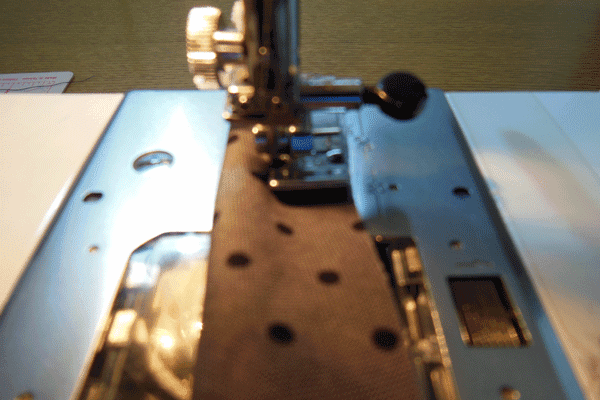 Attach your zipper foot to your sewing machine and sew the piping as close to the cording as you can without catching the cording. 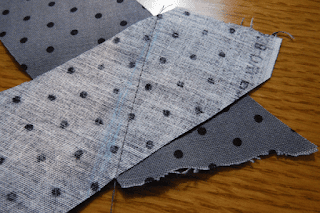 Use a basting stitch and matching thread. Yay! 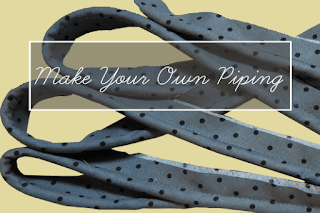 Now you have lots of piping all ready to be sewn in to your next project! Maybe it will be a pair of seat cushions. Whatever you sew, sew happy!